Back in January when I was missing the summer sun in which to do my yin yoga, I signed up for a 30-day introductory pass to Bikram Yoga. I have heard many stories about Bikram and couldn’t put down Benjamin Lorr’s Hellbent. Consequently, I was nervous about doing a whole class and prepared for it as if it was surgery. I really didn’t give much thought to what I would be doing in the class – apart from trying not to vomit. So, imagine my surprise when I found Bikram completely recognisable. To me, originally a Sivananda girl, it felt completely traditional. I guess with the heat and the gym style mirrors, I presumed that Bikram would be unrecognisable in that similar way I had found Astanga and Vinyasa Flow to be, the first few times. Whereas Iyengar had always seems familar but with bells on and was modern enough to provide a great range of accessories for the shopaholics amongst us. 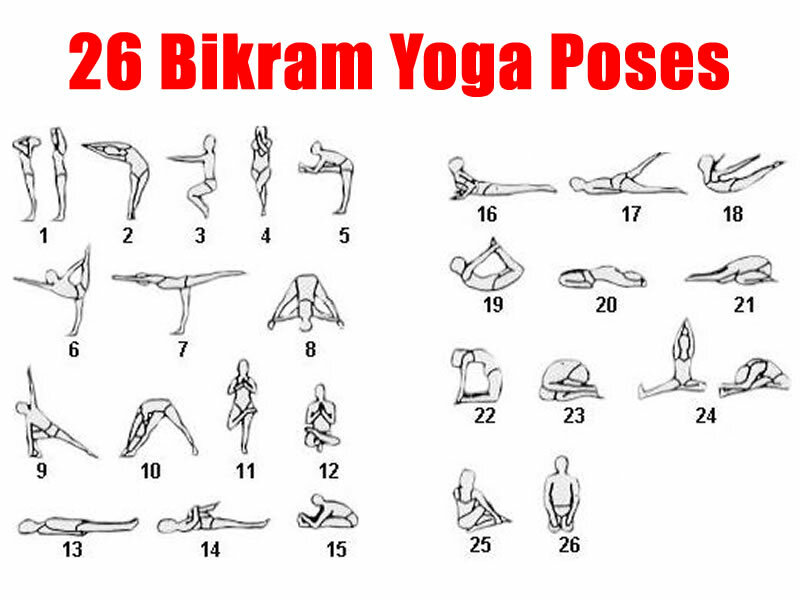 What is modern about Bikram, is what Choudhury himself calls a McYoga approach: You do the same 26 poses every single time. There are no variations or adaptations of any of the asanas. You can go to any class and have the same experience. And because, it is the same sequence each time, so -moreorless – is the script, that the teachers follow. The script drove me bonkers. One J Kennedy left a comment on YouTube underneath a Bikram audio session likening it to horse racing or an auction – oh so true! I laughed when I read that comment as I found the script infuriating. And, in one class I heard it in a wobbly voice (like when someone needs to clear their throat) with a clap of their hands at the end of each and every breath in and breath out command. Ninety minutes of this! I thought I was going to go nuclear like Ronnie and Dr Stein in The Flash. Instead, I became euphoric. My mind stopped completely and I was ecstatic and entered a bubble of bliss which lasted most of the day. And this is what yoga is supposed to do. At its purest level, shrouded in the mysteries of time, and let’s not forget, never taught to women, yoga is about the union of the self (jiva) with pure consciousness (Brahman). And in many different classes I have worked so hard to get to that place of inner peace, of being at one with all things, of literally unclenching my heart – which I know, sounds so wrong, you shouldn’t have to work at it, right? It should come naturally, but for me, it was only in Bikram that, not only did it come naturally, and I let go, I did it consistently in every single session. It was totally McYoga giving me the same experience every time. And Bikram was like a gift that kept on giving. It made me do three yogic things: 1) drink at least three litres of water per day, and 2) & 3) abstain from caffeine and alcohol. And whilst I would like to say that this was because I felt at one with all things in a bubble of bliss, it wasn’t. It was knowing that if I didn’t do the above, I would feel so ill during the next session. Unwittingly, I became the clean living yogi I had always aspired to be, complete with inner peace. And it would seem that inner peace in a sweaty mirrored gym, is an oxymoron. However, the point of meditating, doing yoga, or being mindful, is being able to remain strong in that peace whatever is happening, sitting on your mat in silence or in the auction/race horse of real life. And that for me is what Bikram gives to the world. I also have to say that I loved the mirrors. It was great to watch myself and correct positions if it wasn’t quite right. In my mind I am tall, wiry and muscular. In the mirror, I am 5 feet tall and a little bit squidgy. But then like all yogis with inner peace I know that temporal reality is just an illusion. At the end of my 30 days I caught a tummy bug, another lady in the changing rooms had had it. Had I got it off her? Quite possibly, with the amount of sweatiness going on. Man, I was sweating in places I didn’t know possible. By the time I had recovered from this bug, I felt resistant to signing up for another batch of classes. The best deal involved three months commitment, direct debit and a rolling monthly contract. And it was/is a great deal but, I just couldn’t bring myself to sign back up, even with the knowledge that in those classes I was the committed yogi I always imagined I would be. Bikram Choudray discovered his style of yoga, so the story goes, when practising in winter in Japan (perhaps that accounts for the Japanese Ham Sandwich instruction). He kept turning up the heat where he was staying until no doubt he felt blissful. So, inspired by this, I cranked up the little heater in my office and listened to the above YouTube 90 minute audio, and went through the poses. It was nice. It was easier without the sweatiness, and I felt like I had done a good yoga session, but then I added some other poses – more twists and inversions – and I spent longer in poses on the floor to balance out what I felt I had missed – but I didn’t get euphoric. I also had to switch off Mr Choudray well before the end, and so, this confirmed what I had started to think. It was the heat that made me blissful not the yoga. And without the heat, I have stopped doing the three yogic things. I am torn, part of me wants to shout Sign Me Up so I can sweat and spend a guaranteed three hours a day in a blissful state. However, the rest of me is already back on my mat at home, wrapped up in layers doing yin yoga searching for internal heat. For as great as the feeling of euphoria is, it seems to this yogi, that the journey needs to be as enjoyable as the state of bliss is, once you get there.